Description: This is an attractive woman that she felt she looked tired and wanted to look like she did in her twenties. This is just a week post-op. 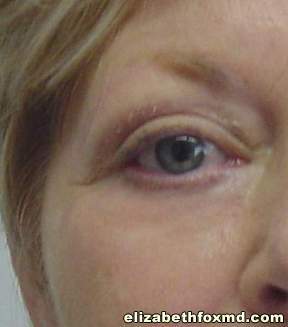 Description: This patient from Marco Island,FL wanted an upper eye lift and to improve the wrinkles to her lower eyelids. 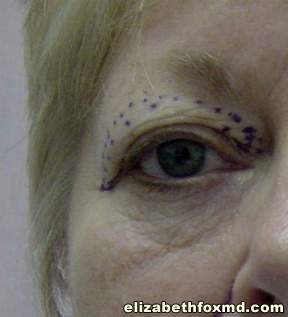 Dr.Fox performed an Upper Blepheroplasty and Laser to Lower Eyelids. She was so thrilled to look refreshed and not look tired all the time. Description: This is a delightful woman from Naples,FL who wanted to rejuvinate her eyelids and get rid of the bags under her eyes. We preformed an upper eyelid lift and a lower transconjunctival blepharoplasty with a light Sciton laser peel to the lower eyelid areas. She healed beautifully in one week, this is a one week post-op photo. Description: This sweet patient inherited her family’s upper eyelids. Although she loved her family very much she wanted to feel more comfortable about her upper eyelids. Her eyelids felt heavy, and tired throughout the day. We did her procedure in less than 30 minutes. She had no discomfort postoperatively and then flew home the next morning.